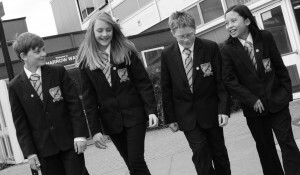 Your child can only make the most of what this school has to offer if he or she attends regularly and punctually. 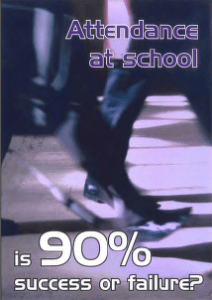 Irregular attendance and lateness is disruptive, leading to students feeling out of touch with school life and being constantly behind in their schoolwork. Having a good education will help to give your child the best possible start in life. Excellent attendance is a key factor in achieving success at school. There will be occasions when your child is unable to attend school because of illness or other unavoidable causes. It is therefore vital that you as a parent communicate with the school to inform them of the nature and expected duration of any absences. The school will then be able to decide whether or not the absence can be authorized. If you, as a family, are experiencing problems with school attendance, it is of vital importance that you contact and discuss the matter with our Educational Welfare Assistant or an alternative relevant member of staff such as your child’s Tutor or Head of Year as soon as possible. Everyone in school is here to help, support and advise. Each year a number of parents contact the school regarding family holidays within term time. Government guidelines are very clear in that no leave of absence should be granted unless there are exceptional circumstances. We would like to bring to your notice that, under the Education Act 1996; it is the duty of parent(s)/responsible adult(s) to ensure the regular attendance of their child in school. This means that s/he must be in attendance, and on time, every time the school is open, unless s/he is prevented from doing so by reason of illness or any unavoidable cause. If parents take their children on holiday in term time and leave of absence has not been granted, the Local Education Authority may issue a Penalty Notice under Section 444(1) of the Education Act 1996. The Penalty Notice imposes a fine of up to £120 per parent per child. Hampshire County Council Letter – New code of conduct regarding attendance in schools, which will come into effect in September 2015.